Today, everyone around South Africa is wearing their supporter’s jersey loud and proud! 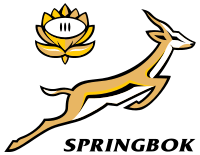 You see, it was South Africa’s first game as part of the Rugby World Cup 2011 – the leading international rugby union competition! Pubs everywhere are full to the brim! People are drinking beer, having braais (our word for barbecues), waving flags and are glued to their screens watching all the games and updates! We are the current defending champions, so the heat is on! This year the competition takes place in New Zealand from the 9th of September to the 23rd of October. It’s actually the largest sporting event ever held there so far. This is the 7th World Cup and South Africa is competing for the 5th time. Today’s game was played at the Regional Stadium in Wellington, against Wales. I was so ecstatic when we won the match 17 – 16 !! We played so so well. It was a very tight game and at one point I thought we were going to lose! I swear the streets here are alive with festivity and pride – it reminds me of last year when South Africa hosted the 2010 FIFA Soccer World Cup! 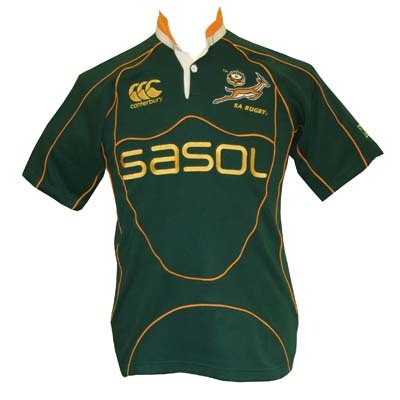 I am a HUGE fan of the Boks! (short for ‘Springboks’) – what we call our team. We are the current holders of the Rugby World Cup and are the 2009 British and Irish Lions Series winners. We are ranked as the third best team in the IRB World Rankings and were named 2008 World Team of the Year at the prestigious Laureus World Sports Awards! I can hear how proud you are of your team…..let us hope that they win!